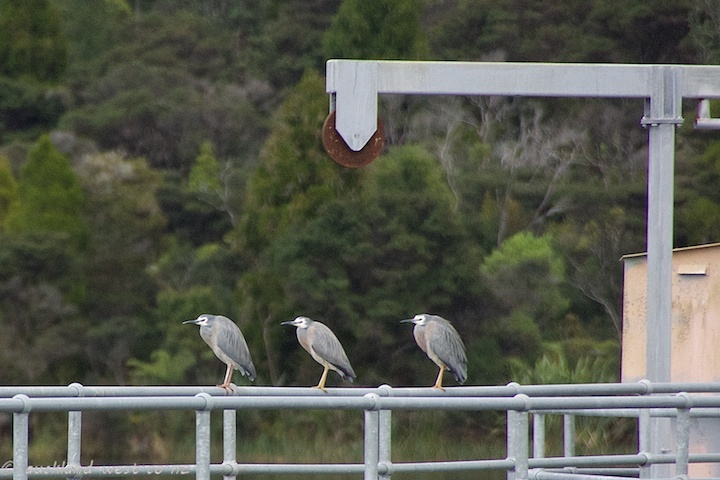 Three white-faced herons (Egretta novaehollandiae) resting on the superstructure at the Lower Nihotupu Reservoir. They look like 3 old, ?wise men ! Or is the middle one the youngster? By the way, how come they did not fly away?